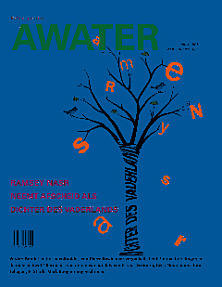 I feel very lucky to have had one of my poems translated into Dutch by the translator Susan Ridder, and published in the magazine Awater, the largest literary magazine in the Netherlands. It’s an honour to have been included alongside amazing poets Jen Hadfield, Charlotte Runcie and Ellen McAteer. You can read the original article in translation and more about it on Ellen’s Blog.